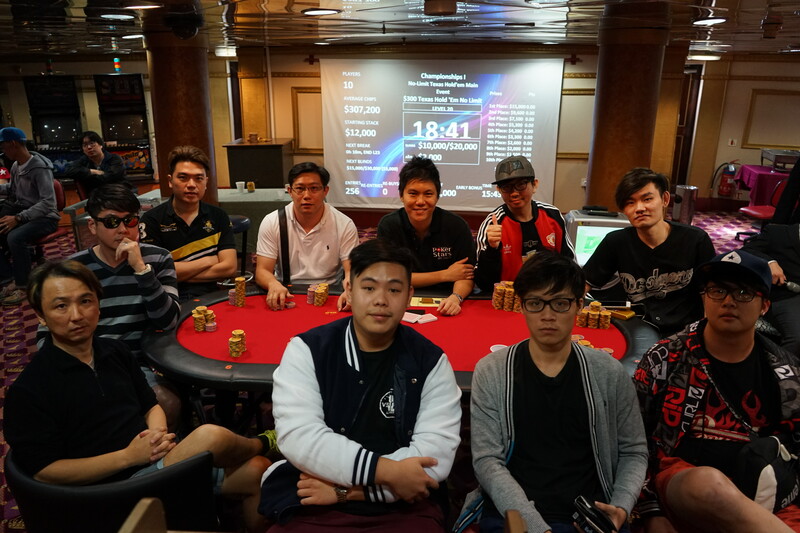 The MV Amusement World played host to the inaugural Singapore Poker Championships over the weekend, picking up where five successful years of the Leisure World Poker Series had left off. Despite some teething problems and organisational jitters, SPC I smashed all previous LWPS attendance records, testament to the continued growth of tournament poker in the region. 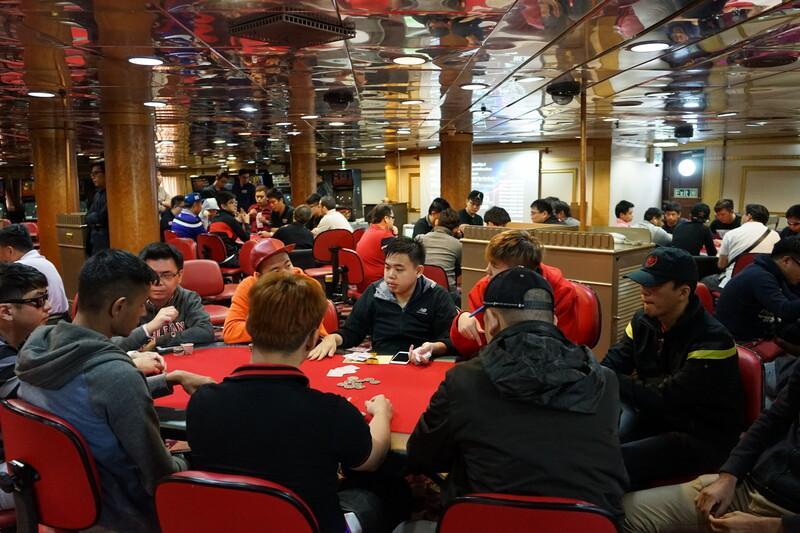 When the dust had settled at the close of registrations in Flight 1B, 256 entrants had ponied up the buy-in; building the largest prize pool on the high-seas to date. 66 runners managed to carve a difficult path to Day 2 of the Main Event, amongst them LWPS champions Chua Koon Yuan, Ho Bao Qiang and Lim Min Soon. Min Soon had an excellent Day 1, closing out his session with a commanding 148,800 chip lead. Hot in pursuit were Siddharth Mishra, Shaun Phang, and APT Asian Series champion Adrian Lim, all cruising with just under 100,000 in chips. The densest Day 2 ever saw the the bubble burst after 3 hours, to immense applause and relief. Already assured of a minimum cash, the top 27 started jostling for position. With adroitness, Adrian Lim moved himself into contention with his impeccable awareness and timing, taking big chunks out of Sean Tan and Siddharth Mishra and wrestling the chip lead from Lim Min Soon. Also making big strides were Kelvin Tan, Steven Thinh, and seasoned campaigners Bobby Cheong and Neo Zhi Han. Several bruising hours later, most of the aspirants had been consigned to the rail, and the final table was formed. 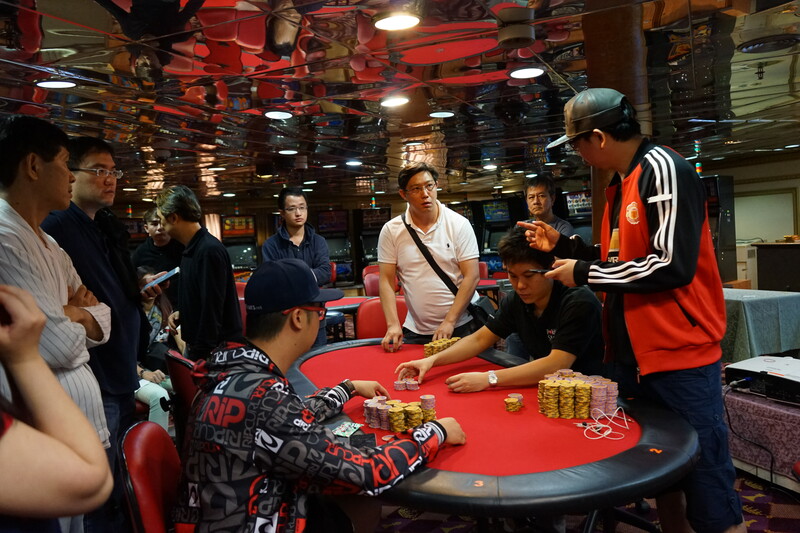 Leading the charge were Adrian Lim and Lim Min Soon, who both had big stacks and heaps of final table experience. For the other contenders at their maiden final table, this would be a veritable mountain to climb. First to falter was the promising Alvin Tan. Short and finding himself alone in a blind vs blind situation, he moved all his chips in the middle. His 8 6 was unfortunately snapped off by Liew Teck Wee, who found himself with QQ in the big blind. Adrian Lim, who had taken a couple of small to medium knocks enroute to and at the final table, found himself on the button with AQ. Kong Jian Qiang, who had Adrian barely covered in chip counts, promptly moved all-in from the small blind with 99, and was duly called. The consequent dry board bereft of broadway cards was enough to eliminate Adrian in 8th position. Also hoping to ride the fortunes of 99 was Heng Zhen Hong, who moved all in from UTG+1 pre-flop. He was poised to pick up some easy blinds and antes until action reached Min Soon in the big blind, who managed to squeeze out a pair of dominating Kings. The board bricked out, and the tournament lost Zhen Hong in 7th place. Next to fall was Kelvin Tan, who had deftly navigated his way to the final table without ever seeming to have his stack at risk. He moved all in on an unraised board of J 8 4, and was sent to the rail in 6th when Min Soon calmly tabled AA for the win. The much loved Bobby Cheong, one of the strongest proponents of poker in the country, also found the going difficult in the final table. Short on chips, cards and spots, he found QT good enough to get his stack in with, and as the poker gods would have it, ran smack into JQ. A terrific 5th place finish for the veteran. Kong Jian Qiang had been quietly building his stack since the final table began, and when he took a large bite out of Min Soon’s stack with a fours full of jacks, the momentum of the final table had shifted in his favour. It was he who disposed of the talented Jimmy Tay when he found himself priced in for the former’s A7 all-in preflop. The signs were ominous when the flop delivered both a flush and open-ended straight draw for Jian Qiang. The turn brought an unassailable straight, and sent Jimmy to the rail for a very respectable 4th. Three handed play began with both Min Soon and Jian Qiang neck and neck in chips, with Liew Teck Wee staring down the barrel of two enormous stacks gunning for him. Having survived one big all in and elevating his stack closer to parity, a deal was struck between the remaining three players. Not long after the deal was struck, Jian Qiang bit the three-handed bullet, when his QsTs failed to catch up against KJ all-in preflop. Tremendous finish from the quiet and unassuming Jian Qiang. Heads-up was a short and brutish affair. 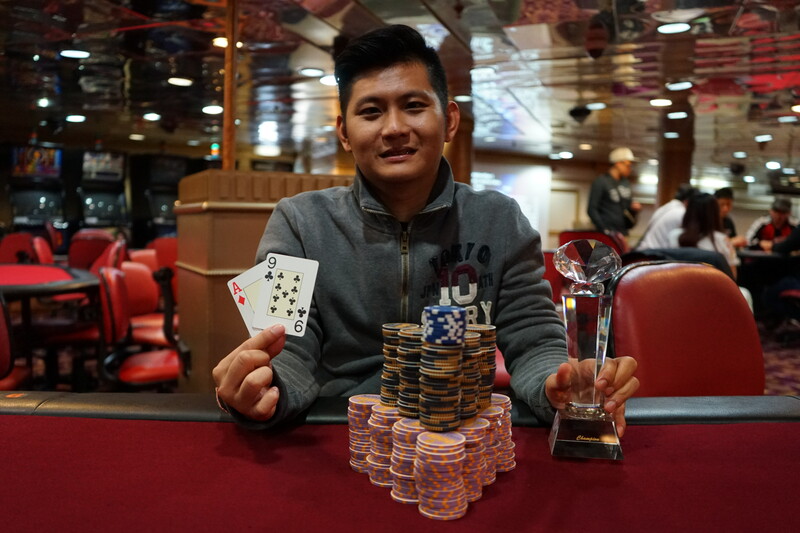 Min Soon had the chip advantage and was favourite to bag yet another tournament trophy, but soon found himself on the back foot when Teck Wee found a two outer for a massive double through. The final dagger came in another all-in preflop confrontation, with Teck Wee’s Q6 up against Min Soon’s suited 57. 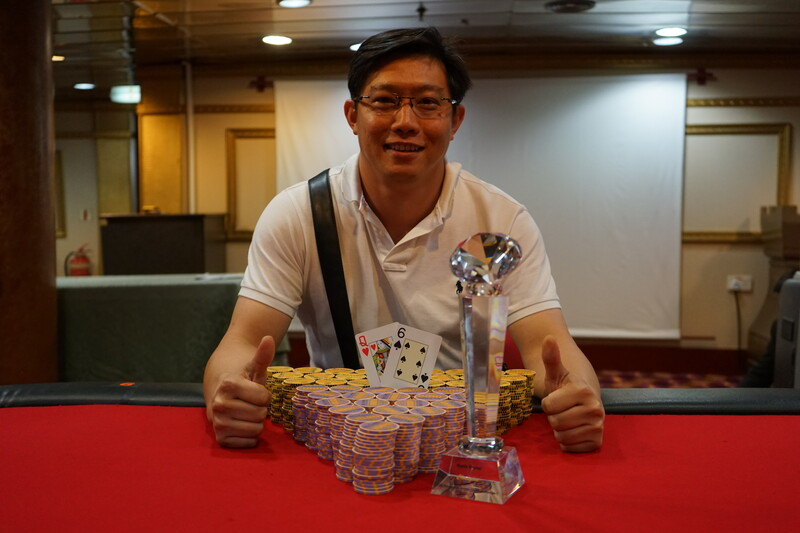 The ultimate board of the tournament ran 3 A 9 9 T, crowning Liew Teck Wee the first ever winner of the Singapore Poker Championships! *Adjusted pay-outs after 3-handed deal. **Adjusted pay-outs after 4-handed deal. The Singapore Poker Championships congratulates all prize winners, and thanks all participants for making the first SPC an astonishing experience. See you all again in September!